Purchase a Prime Ticket with the ATG Lounge Experience for premium access that includes admission to ATG’s exclusive Ambassador Lounge, a welcome drink, light hors d’oeuvres & desserts, complimentary coat check, private restrooms, a souvenir brochure, plus avoid the line and use our VIP Express Entrance at 213 West 42nd Street. Interested in upgrading to include the Ambassador Lounge? Email [email protected] or check with the Lounge Host in the theatre for an upgrade on the day of your performance, as there is occasional availability for Lounge access. The Lobby and Lounge open one hour before curtain and the house opens thirty minutes before the performance begins. We have four bars that offer a wide array of beverages and snacks. Between them, every taste you have will be satisfied. We have everything from refreshing frosé to steamed cappuccino. We encourage you to explore both of our main bars and our two satellite bars to find everything that you need to make the most of your experience. 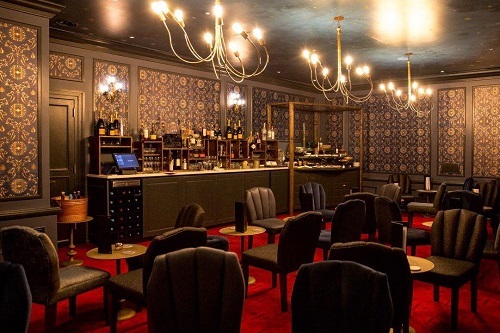 There is a main bar in the Orchestra and Dress Circle lobby levels, and a satellite bar near each street entrance. We are very excited to offer a fresh food selection that includes sandwiches, salads and snacks that are delivered daily. 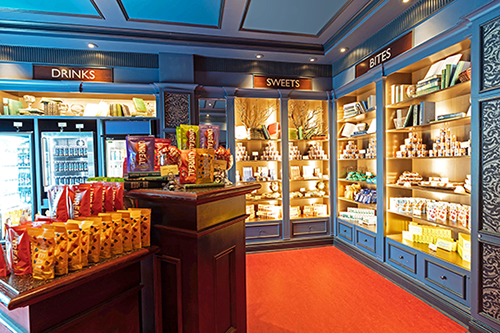 Also in the Snack Shop you will find drinks, sweets, and bites featuring health-conscious snacks as well as signature Broadway items. Enjoy a cold beverage, ice cream or snack without getting up! Order your drink from the comfort of your seat in the auditorium and a member of our staff will deliver it to you by using our Ordertorium app. Click here to learn more about Ordertorium.